Lymes’ Youth Service Bureau presents a Summer Camp and Activities Fair in the Lyme-Old Lyme High School Commons, Wednesday, March 28, from 4:30 to 6:30 p.m.
More than 30 local camps will be at the Fair. There will be opportunities to pick up brochures, meet camp representatives and also, to register for a variety of camps. Pizza will be available for sale. Click here to view a full listing of the participating organizations. Support the Safe Grad Party for the Lyme-Old Lyme High School Class of 2019 by eating at or buying take-out from Sal’s Pizza at 29 Spencer Plain Rd. in Old Saybrook today. Owned by the Fava family of Old Lyme, Sal’s has become a favorite among many Lyme-Old Lyme families. The restaurant is donating part of the proceeds for the entire day, eat-in or take-out, to the Lyme-Old Lyme High School Class of 2019 Safe Grad Party fund. To place your order or for more information, call 860-399-8331. The annual Super Bowl ‘Scholarship Breakfast’ hosted by the Lyme-Old Lyme Lions promises yet again to be a lively and delicious event this year. 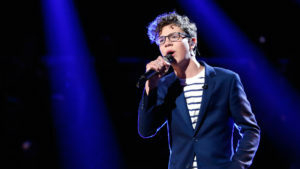 Scheduled for Sunday, Feb. 3, from 8 to 11:30 a.m. at the Lyme-Old Lyme High School cafeteria, this year’s breakfast hosts ‘The Voice’ superstar Braiden Sunshine, who will provide musical entertainment during the event. Enjoy the Good News Clowns and their balloon creations, face painting and silly antics. Meanwhile, the school’s award-winning Techno Ticks FIRST Robotics Team 236 will also be on hand to demonstrate their new robotic creations up close … and personal! 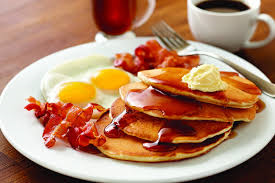 Feast on a hearty menu of blueberry pancakes, breakfast sandwiches, scrambled eggs, sausage, bacon, tater tots, fresh fruit, coffee and OJ. Door prizes include restaurant and salon certificates, and other items donated by local businesses. Old Lyme’s own Braiden Sunshine will perform at the LOL Lions Super Bowl Breakfast his morning. During the event, the Lyme-Old Lyme Lions will conduct free, quick, non-contact eye screenings for people 2 to 92 years of age, using “Spot,” an instrument resembling a Polaroid camera. From a distance of three feet, “Spot” checks for six eye diseases, and within seconds it produces a detailed test report. This state-of-the-art equipment is used in the new Lions’ PediaVision preschool eye screening program. The Lyme-Old Lyme community is invited to participate in this fun event. The annual breakfast is the Lions’ primary fundraiser for four $1,500 Lions’ scholarships awarded each year to deserving high school students resident in Lyme or Old Lyme. Tickets are $10 for adults, $8 for seniors, and $5 for children under 12. For more information on Lions’ scholarships and the PediaVision program, visit www.lymeoldlymelions.org. Registration for Kindergarten in Lyme-Old Lyme Schools for the fall of 2018 is scheduled for Monday and Tuesday, Jan. 28 and 29, from 9 a.m. to 1 p.m. at Lyme Consolidated School and Mile Creek School. Children who will be five-years-old on or before Jan. 1, 2019 are eligible to register for this year’s Kindergarten class. While you may complete the registration process at either school, your child’s school placement will depend on District attendance zones. Lyme-Old Lyme Schools look forward to welcoming your child. The Town of Old Lyme Public Works Department will pick up Christmas trees in Old Lyme during the week commencing Jan. 14. If you would like the Town to pick up your tree, you must have it curbside by 7 a.m. on Monday, Jan. 14. If you miss pick up on your street, you can take your tree to the Transfer Station (open Tuesday through Saturday) at no charge. There will be no return trips for curbside pick up. Thank you for all your support this past year and we look forward to serving you with even stronger coverage of the towns of Lyme and Old Lyme next year. Churches in Lyme and Old Lyme are following their normal schedule of services today. Starting tomorrow, there are numerous additional Christmas services being held in both towns. As a service to our readers, we have listed below all the services of which we are aware — please advise us of any errors or omissions. 5 p.m. — Service for families with young children, with The Living Manger. One service only at 11 a.m. in unity with the South Lyme Union Chapel — no Sunday School. Rev. Cn. Mark K. J. Robinson presiding at both services. One service only at 9:30 a.m. — A Morning Prayer Service with Christmas Lessons and Carols. The American Red Cross is hosting a Blood Drive tomorrrow, Wednesday, Dec.19, at Old Lyme’s Memorial Town Hall, 52 Lyme St., from 1 to 6 p.m. There is currently a critical need for blood donations — please help if you are able. A shortage of blood donations can lead to delays in urgent medical care to vulnerable patients. Remember the “The need is constant. The gratification instant.” Walk-ins are welcome. To make an appointment to donate your blood, call 1-800-RED CROSS or visit http://www.redcrossblood.org. 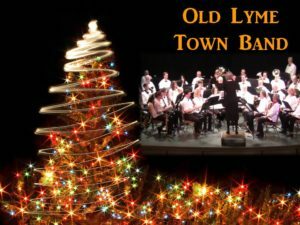 The Old Lyme Town Band will perform their ‘Holiday Pops Concert’ at the Katharine Hepburn Cultural Arts Center, ‘The Kate,’ in Old Saybrook on Wednesday, Dec. 12, at 7 p.m.
Visit the Old Lyme Town Band’s website at this link or thekate.org for more details. The Old Lyme Children’s Learning Center (OLCLC) presents “Homes for the Holidays” House Tour of Old Lyme on Saturday, Dec. 8. The tour begins at Old Lyme Town Hall, located at 52 Lyme Street, and will feature a Holiday Boutique from 10 a.m. to 4 p.m. The self-guided House Tour takes place from 11 a.m. to 3 p.m. and will spotlight beautifully decorated Old Lyme homes. 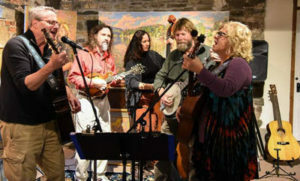 A few local businesses will also open up as a part of the tour, including the Lyme Art Association, The Florence Griswold Museum, and the Old Lyme Historical Society. On the day of the event, Home Tour ticket-holders can use their ticket stub for free admission to the Florence Griswold Museum and visit their Magic of Christmas display. The Lyme Art Association will also be open to Home Tour ticket-holders to see their stunning Deck the Walls Exhibit. The Old Lyme High School Select Singers will perform at the Old Lyme Historical Society building, promising to put you in the holiday spirit. Advance tickets are available online for $25 by visiting this link or in person at OLCLC (57 Lyme Street, Old Lyme); and the Chocolate Shell (18 Lyme Street). Tickets purchased on the day of the event are $30. The tour will be held rain, snow or shine. Proceeds will benefit OLCLC enrichment programs. 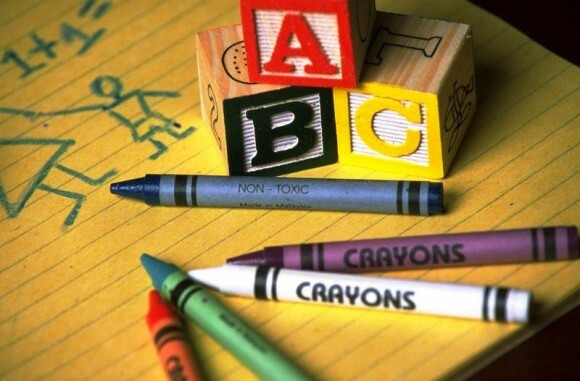 Old Lyme Children’s Learning Center is a non-profit accredited early childhood school and child care center. For more information, visit www.olclc.com or call (860) 434-1728 ext. 1. The annual ‘Elephants in Winter’ Sale in the Fellowship Hall at the First Congregational Church of Old Lyme (FCCOL) at 2 Ferry Rd. will be held Saturday, Dec.1, from 9 a.m. to 2 p.m. This is the Christmas version of the extremely popular White Elephant Sale hosted annually by the church in July. The sale continues after the Sunday, Dec. 2 services at 9 and 11 a.m. from 10 to 11 a.m. and 12 to 1 p.m. There will be no half-price sale this year. Christmas decorations and gifts along with handmade items from the Sewing Group will be on sale. Items will also be on sale from the many FCCOL mission partnerships: from the Lakota Reservation at Green Grass on the Cheyenne River in South Dakota, from Haiti, and from Palestine. Coffee and doughnuts will be available. Items will also be on sale during the Ladies Benevolent Society’s (LBS) luncheon on Tuesday, Dec. 4. Enjoy some holiday shopping for a great cause at this event. See Santa in Old Lyme This Morning! 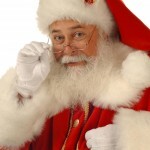 Santa will be in Old Lyme on Saturday. We just heard that Santa will be dropping into the Old Lyme Town Hall tomorrow morning between 10 a.m. and 12 noon and would love to meet as many children as possible during his visit! Moreover, children can have their photo taken with Santa at no charge. Donations to the Lyme Youth Service Bureau’s Youth Advisory Council scholarship fund will be accepted. And Santa is even bringing some of his elves with him, who will help little ones write their own letters to the North Pole! Don’t miss him … he has a hectic schedule and won’t be able to stay past noon! What shall I buy? 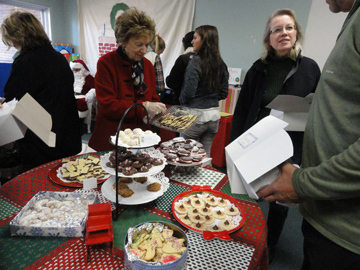 Customers are spoiled for choice at Child & Family’s Annual Cookie Walk. 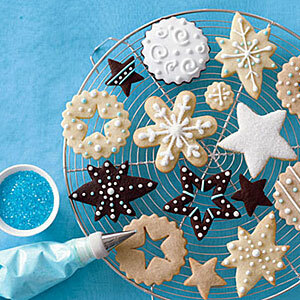 Don’t have time to bake but want beautiful, homemade holiday cookies to enjoy at family gatherings? Tired of pre-made cookie trays with cookies you might not want? Come to Child & Family Agency’s Holiday Cookie Walk on Saturday, Dec. 1, from 9 a.m. to 12 noon (or as long as the cookies last!) at its new location in Old Lyme Town Hall, and create your own cookie assortment! At the Cookie Walk, you decide which cookies — and how many — you want to purchase. Cookies are then weighed and boxed for purchase. Get there early for the best selection! Also available for sale will be sets of note cards depicting local scenes of Lyme and Old Lyme, ornaments, tote bags, and Child & Family Agency cookbooks. Proceeds benefit the programs and projects of Child & Family Agency of Southeastern Connecticut. This year’s Cookie Walk at the Old Lyme Town Hall on Lyme Street will be located along with LYSB’s Santa. While you’re choosing cookies, the kids can get a picture taken with Santa (donations to LYSB, the Lymes Youth Service Bureau) There will be much to do along Lyme Street that day, all part of the “Light Up Old Lyme” festival. Child & Family Agency is a private, nonprofit organization whose mission is to nurture children and families to develop their strengths through service, partnership, and advocacy. With offices in New London, Essex, and Groton, and programs dealing with children’s health care, child abuse, family violence, teen pregnancy, parent education, and child guidance, Child & Family Agency is the largest nonprofit children’s service provider in southeastern Connecticut. Volunteers and supporters are always welcome. Questions on the Cookie Walk should be directed to CFA.LOLauxiliary@gmail.com. The annual Community Service of Thanksgiving, sponsored by the churches of Lyme and Old Lyme, will take place at 7 p.m. on Tuesday, Nov. 20, at Saint Ann’s Episcopal Church. All are welcome to attend this ecumenical service of prayer and song, which will feature music by the choirs of First Congregational Church of Old Lyme, St. Ann’s Episcopal Church, and Christ the King Church. Clergy from the various faith communities will participate, as will lay members and community leaders. A free-will offering will be taken up during the service to benefit the New London Homeless Hospitality Center, and donations of nonperishable foods will be collected for the Shoreline Food Pantry, to help our neighbors in need. Everyone, regardless of religious affiliation, is welcome to attend the Ecumenical Thanksgiving Service. 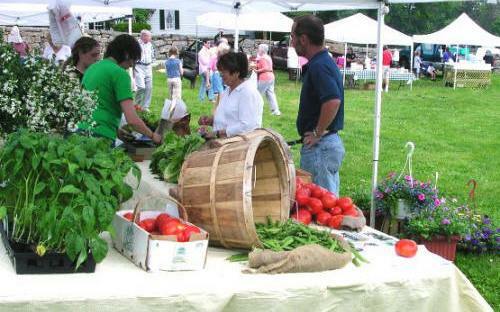 For more information, visit www.saintannsoldlyme.org. 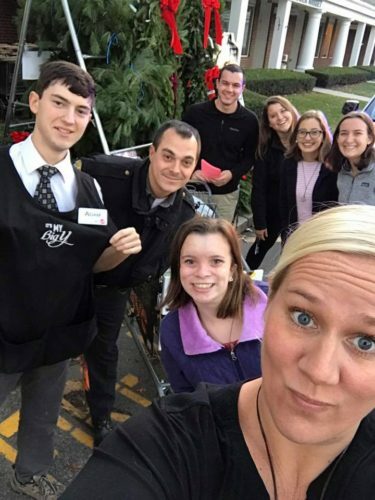 Food Drive fun outside Big Y in Old Lyme! File photo by M. Garvin. Old Lyme Police Officers will continue their annual Thanksgiving Food Drive on Wednesday, Nov. 14, from 3 to 7 p.m. at the Old Lyme Marketplace on Halls Road near the Big Y. The final collection day will be Saturday, Nov. 17, from 10 a.m. to 2 p.m. at the same location. All food donated will be forwarded to the Lymes’ Youth Service Bureau (LYSB) for distribution to families in need. Food will also be given to stock the mini-pantries at Lymes’ Senior Center and the Town of Old Lyme Social Services. After local needs are met, all remaining food is given to Shoreline Soup Kitchens. Donations of non-perishable food can be taken directly to the Old Lyme Police Department at 294 Shore Rd., or to LYSB at 59 Lyme St. between Nov. 12 and Nov. 16. Families in need of food should contact LYSB at www.lysb.org/holidaygiving or 860-434-7208. This event has been CANCELLED due to the anticipated coastal storm. If you have drugs in need of disposal, take them to the drug collection box at East Lyme Police Department, or State Police Troop F in Westbrook. 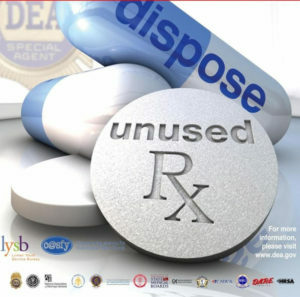 On Saturday, Oct. 27, from 10 a.m. to 2 p.m. at the Lyme Street Fire House, 69 Lyme St., Old Lyme, Lymes’ Youth Service Bureau (LYSB) and the Lyme-Old Lyme (LOL) Prevention Coalition will give residents another opportunity to prevent pill abuse and theft by ridding their homes of potentially dangerous expired, unused, and unwanted prescription and over-the-counter drugs. This event is free and anonymous — no questions asked. Since the first Lyme-Old Lyme Drug Take Back event in 2011, citizens have returned more than 500 pounds of medications to prevent misuse. Studies show that a majority of abused prescription drugs are obtained from family and friends, including from the home medicine cabinets. This event is co-sponsored by LYSB, LOL Prevention Coalition, Old Lyme Police Department, Troop F State Police, and Old Lyme Fire Department. Old Lyme Fire Department members will demonstrate the ‘Jaws of Life’ at their Open House on Wednesday. File photo. The Old Lyme Fire Department will host its annual Open House Wednesday, Oct. 10, from 6 to 8 p.m. The event will be held at the main firehouse located on 69 Lyme Street, Old Lyme, Conn. Learn how to prevent this! Activities will include fire safety and firefighting demonstrations. State of the art firefighting apparatus and equipment will be demonstrated and on display. Information pertinent to preventing fire-related incidents and home evacuation will be available for all ages. Complimentary refreshments will be served. Fire Department and Emergency Medical Service (EMS) personnel will be on hand to answer any questions the public may have to ensure a safer environment for children and adults. And they’re off! Runners participating in the 2016 10K take their first steps in the race. The Lyme–Old Lyme Education Foundation’s (LOLEF) 7th annual Bound for the Sound Road Race takes place tomorrow, Saturday, Sept. 22, starting at 8 a.m., on Hartford Ave., in the Sound View area of Old Lyme. Runners can choose between a 10K or 5K course, or a one-mile Fun Run. The course travels through the scenic, easy terrain of South Lyme. The race course is mostly flat with some gently rolling hills along country roads, ending with a sprint down historic Hartford Avenue to the beach. This popular road race attracts quality runners from in and out of state, but its friendly atmosphere has also persuaded many local and 1st time race participants to try for their first 5K. All proceeds from the race benefit the Foundation’s educational programs in the Lyme-Old Lyme Public Schools. Runners of all ages are welcome, including those in strollers. Register for the race at this link or in person before the race. Registration starts at $5 and varies according to the length of race selected. Registration fees will increase on Race Day, so take advantage and register online today! Prizes will be awarded to the top overall male and female finishers as well as top two finishers in each age group. The LOLEF is a 501(c)(3) non-profit, charitable organization, governed by a volunteer board of directors from the towns of Lyme and Old Lyme. The LOLEF’s mission is to create, continue, and enhance the valuable educational programs above and beyond those traditionally provided by the Lyme-Old Lyme Public Schools. The Foundation aligns its work with the District’s strategic planning process to encourage innovative and effective learning opportunities for students of all ages. It raises and distributes funds to enhance enrichment programs, support innovative teaching and learning, and build educational partnerships between Lyme-Old Lyme students and the community.